Here it is, my second DIY tutorial for Valentine’s Day. And it’s an easy one. 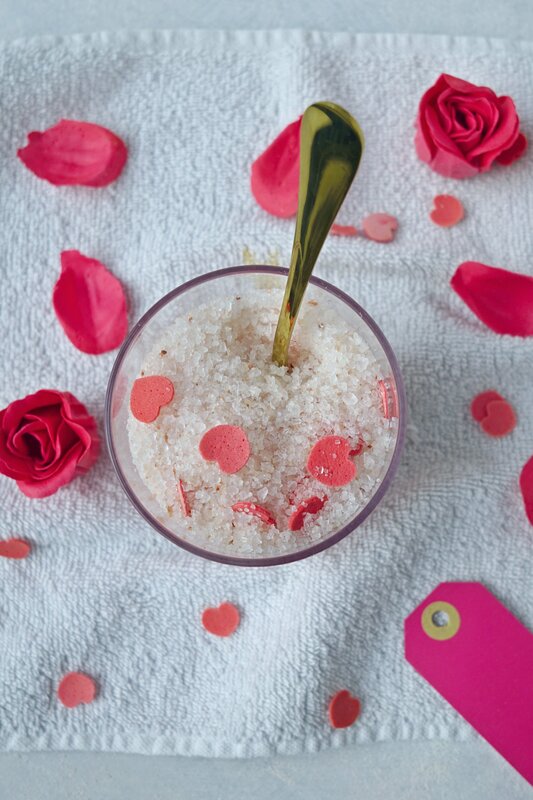 Seriously, these bubble bath salts require zero effort and can be made in under 5 minutes. 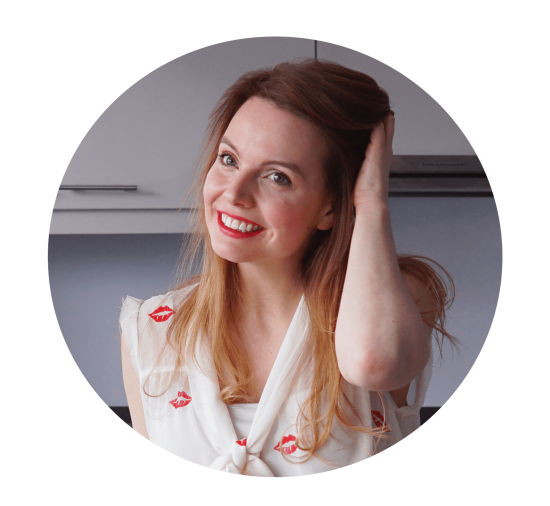 You only need 2 ingredients that, if you’re anything like me and love to take long excessive baths, you probably already have in your bathroom. This is the perfect last minute gift idea to enjoy with your Valentine, to give to a special friend for Galentine’s Day or to enjoy all by yourself. 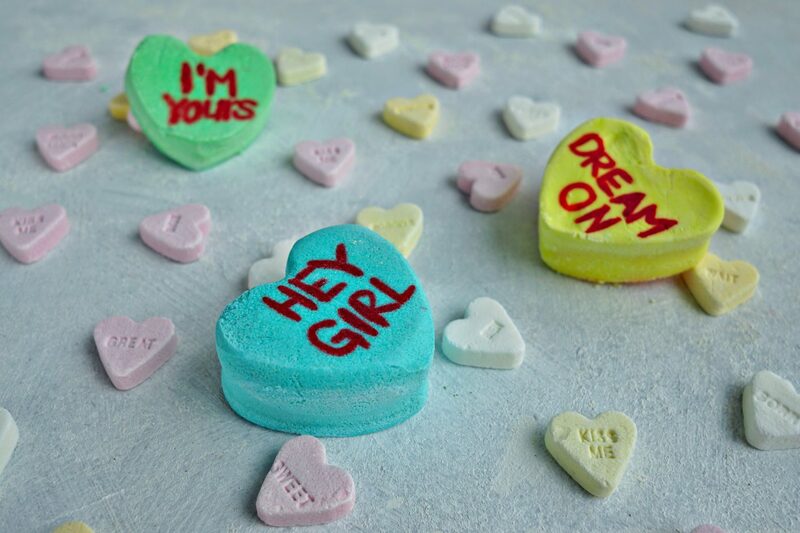 This DIY tutorial is part of my Valentine’s Day gift idea series. 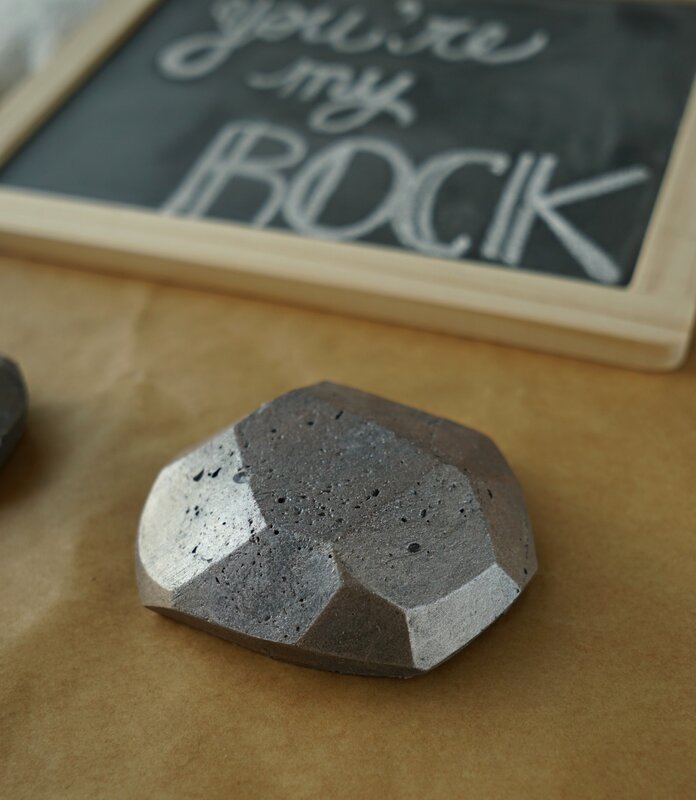 Here are my other easy homemade gift ideas you can try. They are just as easy and fun to make and create lots and lots of bubble fun time! I also made a video of 3 easy DIY projects that create lovely bubbles in your bath tub. You can view the instructions for this post as the 2nd tutorial in the video! Good to know: you can easily watch the video without sound and it’s less than 7 minutes long! Combine your bath salts in a bowl. I used different types of salt, but you can stick to your favorite kind. Epsom salt is always a great choice, but coarse sea salt and dead sea salt would work too! I added some pink Himalayan salt for a pop of color. You can also color some of your salt with food or soap coloring. Add a drop of coloring, mix well and let the salts absorb the color for a few minutes. 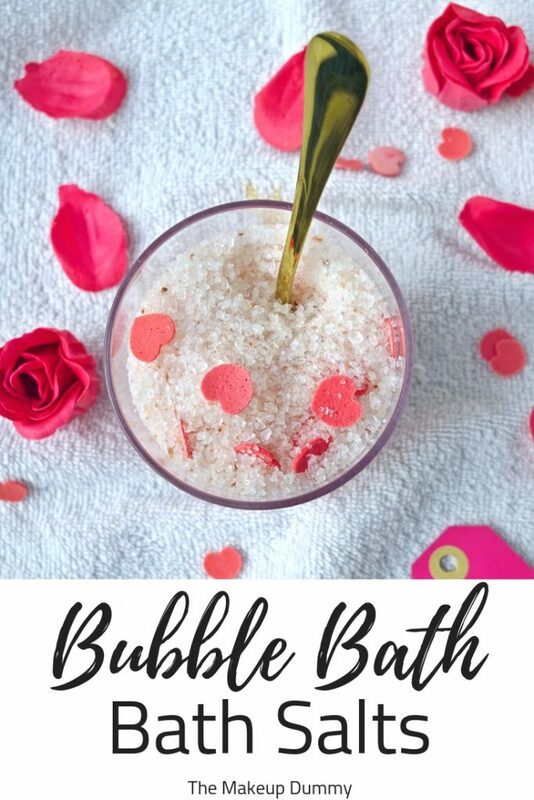 Add 1/2 tablespoon of bubble bath to your bath salts. Mix well until all of the salt is evenly coated with the bubble bath mixture. Scoop the bubble bath salts in a pretty container. I added some pretty heart shaped bath confetti soap sprinkles for extra cuteness. I had some left over from my DIY Surprise Bath Bomb tutorial and they were perfect to add a festive touch. 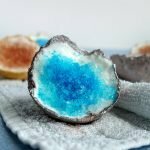 Don’t own bath confetti and don’t feel like buying them? You can also make your own cute DIY soap sprinkles! All that’s left to do is package them, label them and give to someone special. When you’re ready to use, let the water running to draw a bath. Scatter some of the bath salts close to the running water to activate the bubbles. Results may vary as your bubble bath mixture might be a different type or brand. If you like this DIY tutorial than don’t forget to put a Pin on it!